Audiobooks are a fantastic learning tool for young children. Not only will children improve listening skills, comprehension, imagination and vocabulary, but they will get excited to have conversations about books. 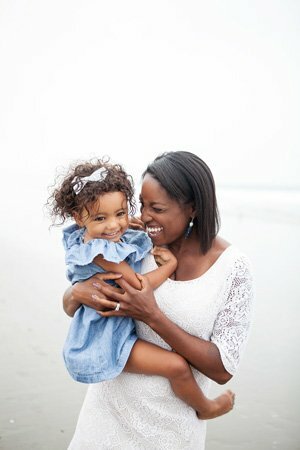 When my two year old started resisting her afternoon nap, we transitioned her to quiet time and audiobooks helped make the transition smoother. The voices of the narrators bring her body to a relaxed state, she’s able to unwind and sometimes even get in that much needed nap. If you still have a CD player, you can cheaply find a variety of audiobooks at your local library. However, the easiest way to find audiobooks is online using Audible and downloading books to an iPad or smart phone. Once the books are downloaded to your smart device, they are transferable and can be played at home or on the go! Find Familiar Texts– Start off with familiar texts that your preschooler enjoys reading during story-time. Preschoolers will be more likely to become engaged in a stories they know, and will be drawn to the novelty of different narrators. Listen Together– Audiobooks are an amazing shared experience between a parent and child. Parents can ask questions about the character, plot and setting of a story, as well as ask their child to retell or reenact favorite parts. Provide a Copy of the Book– If you have an older preschooler, give your child a copy of the book and teach them how to follow along, so that they can start to make the connection between a physical book book and a narrator. Preview the Text– If possible, preview the audiobook before introducing it to your child. You may find that the narrator is too monotone, or maybe there is is too much background noise that will distract a reader from the story. 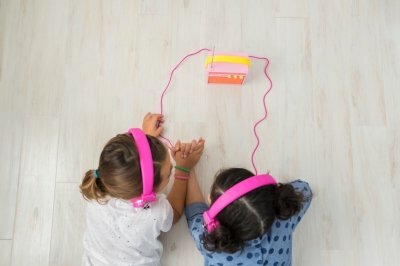 Don’t Let Audiobooks Become a Replacement- Make sure that audiobooks are only a small part of your child’s reading experience. Continue to devote daily lap time to snuggle close and read a few good books with your child.